I have some good news and some bad new for you. The bad news, as you might have already noticed, is that I haven’t been posting as frequently as normal. I’m way too busy at work and have very little free time for the Blog. Sorry…. Here’s the good news……I have been coordinating with some of this blog’s loyal readers to arranged a series of Guest Posts. These posts will help fill in the gaps caused by my workload and will hopefully introduce some fresh views to the Blog (after over 500 posts you have to be tired of listening to me!). Check back tomorrow for the first of these posts. To set the stage for that post here is a short introduction from the author of that post (who also happens to be my son). I’m Justin. I’m 31 and a musician (I won’t bore you with all the instruments I play). My music tastes run the gamut from Dan Fogelberg to synth pop to loud dissonant screamy affairs and everything in between. 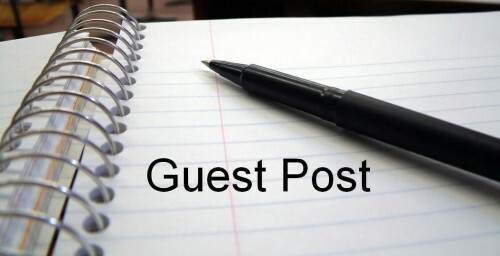 My father has asked me (and a few of the other readers of his blog) to write Guest Posts. I couldn’t be more excited and am hoping that this will become a regular feature! If you are interested in doing a guest post post a comment and we will chat.